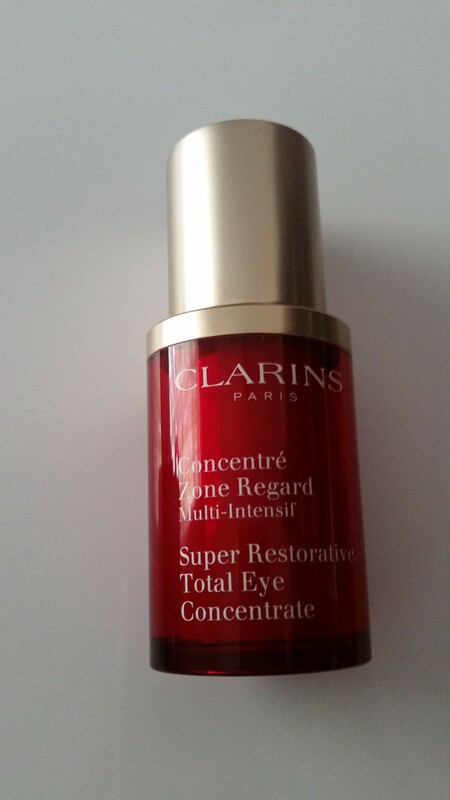 When Clarins say ‘super’ in the product’s name, then you know they are meaning serious business. Allow me to deliberate a little bit. Clarins created this product to act on all visible signs of ageing around the eyes, from Dark circles to Crow’s feet to Puffiness and Deep wrinkles. I struggle with crow’s feet, discoloration, age spots in my eye area, dark circles and puffiness and thought I am probably the best guinea pig for this products. This product is housed in a red, pump action bottle with 15ml of product. The consistency is a white, super light, gel like cream that glides on. They say you apply it twice daily around the eye area from temple to temple, so I envisioned me having a pair of spectacles on my face, and all the areas where the spectacles would cover my skin, would be the total eye area I would cover with this product daily (Take note, you apply it everywhere around the eye area, not just the bottom of the eyes, but the top as well). Organic Harungana Leaf extract helps smooth wrinkles and crow’s feet. Albizia extract brightens dark circles. 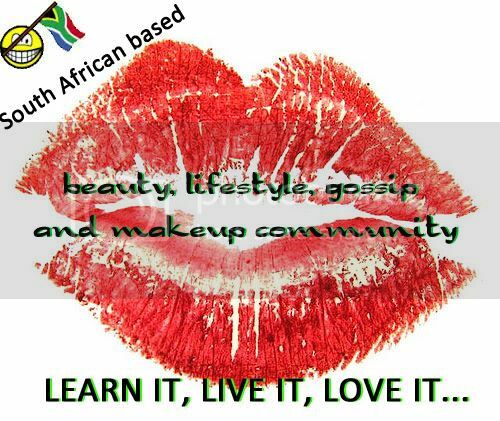 Guarana extract helps reduce puffiness. Cassie Flower wax instantly smoothes. Golden Pearls illuminate eye contours. Did it work? Yes, yes and yes. I started to see visible results in only 4 days. I am already at day 16, but haven’t had time to take a new picture of my eye area yet. 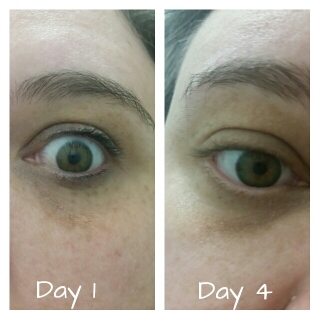 Here is a picture comparing my before picture and my results at day 4. Both are my right eye, I think the angle of the pictures were taken differently. The results are staggering and it is actually hard to document it properly in a picture. The skin around my eye area is less resilient (for a lack of a better word). To explain that statement I would say that my skin under my eyes was not the delicate flower it was supposed to be, it felt more like a rough patch. Now with using this product my eye area is soft to the touch, velvety, less blotchy and definitely just looks better. It literally feels to me like this product erases a thin layer of damaged skin each day, over time fading away all the imperfections. I am impressed and will definitely recommend this product to anyone experiencing the same issues than me. You can find them at Clarins counters nationwide and they retail for R825 for 15ml.